Author(s): Pietruczuk A., Krzyścin J. Potential impact of the atmospheric aerosol on surface UV radiation is presented. 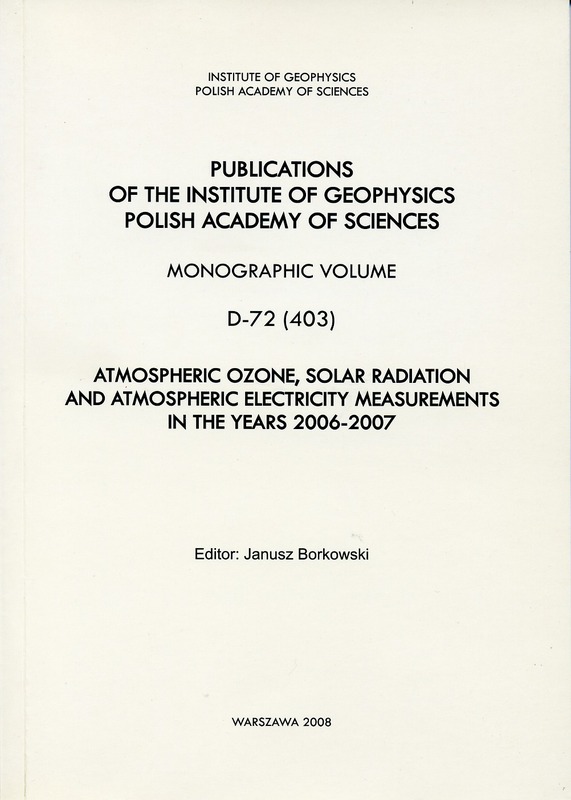 Sun-photometer data collected at Belsk in the period March 27 − April 19, 2007, as well as satellite data, were used to estimate the UV irradiance response to the aerosols optical depth (AOD) changes during smoke/dust event and advection of the clear Atlantic air mass. The mean attenuation of the erythemally weighted surface UV irradiance due to smoke was ~3% in the case of sun-photometer data and ~7% in the case of satellite data, whereas ~10% increase relative to the overall mean UV level was estimated during the clear Atlantic air episode. It seems that the satellite observations can provide accurate estimate of the aerosol optical depths for “clear” air masses and when the AOD exhibits small intraday variations. It was also found that extrapolation of satellite data to UV range leads to an overestimation of AODs. 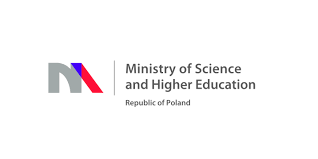 Author(s): Pietruczuk A., Podgórski J., Sobolewski P.
Author(s): Podgórski J., Pietruczuk A. A comparison of global solar radiation fluxes at the bottom of the atmosphere and Direct Aerosol Radiative Forcing (DARF) values determined by two different methods is presented. Analysis of data covers the period from 2002 to 2005. Global solar radiation fluxes and DARF obtained at the Geophysical Observatory at Belsk by means of CM11 pyranometer are compared with fluxes and DARF calculated for Belsk AERONET station by radiation transfer model. Aerosol microphysical properties retrieved from almucantar measurements taken by Cimel CE318A Sun-sky scanning radiometer are used in the radiation transfer model. 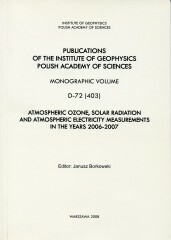 The analysis of fluxes of global solar radiation at the bottom of the atmosphere indicates that the average difference between data taken by the two methods is about 2%. Besides, 95% of cases are within 10% interval of differences, and 84% of cases are within 5%. In the case of DARF, the agreement of results taken by the two methods is much worse. The average percentage difference between DARF values calculated on the basis of measurements taken by the two methods is about 20%. Besides, only 20% of cases are within 10% interval of differences and 29% of cases are within 20%. In both cases, values obtained from pyranometric measurements are lower than the values from radiometric measurements. Author(s): Puchalski S., Podgórski J. Results of over 10 years of lidar measurements of stratospheric aerosol at 532 nm wavelength have been analysed. Averaged stratospheric aerosol optical depths and selected profiles of scattering ratio versus altitude are presented. Their analysis in relation to historical results of several authors in the sixties, seventies and eighties of the last century is made. It has been found that in the years 1996-2006 the stratosphere underwent a cleaning process, manifesting itself by decreasing aerosol optical depth, down to a level of about 0.002, that is, to the aerosol background level typical of the period before the Pinatubo eruption in 1991.